Del Sol clothing, accessories and beach toys harness the power of sunshine and science to make color-changing magic a reality. This article, as seen in Forbes, sheds some light and points out similarities between color-change nail polish and atmospheric sciences. I was immediately curious because I was not familiar with this at all, and my wife is pretty diligent about her nail care. After a little research, I discovered that color-changing nail polishes exist. My hunch was that the science of how this happens might involve my area of expertise, atmospheric science. I was right. Electromagnetic energy travels in waves and spans a broad spectrum from very long radio waves to very short gamma rays. The human eye can only detect only a small portion of this spectrum called visible light. A radio detects a different portion of the spectrum, and an x-ray machine uses yet another portion. NASA’s scientific instruments use the full range of the electromagnetic spectrum to study the Earth, the solar system, and the universe beyond. 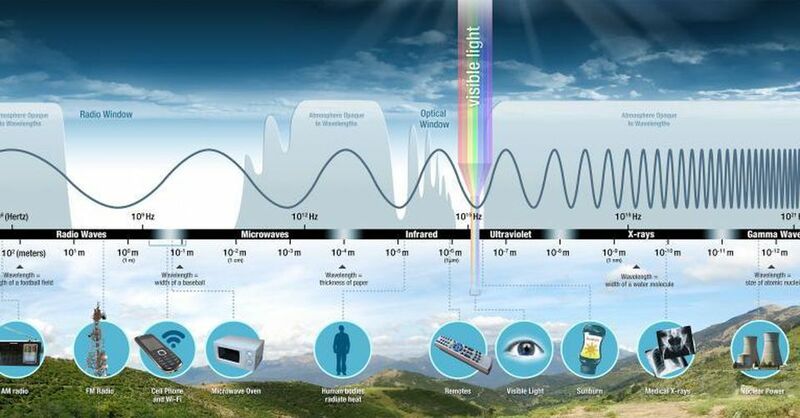 As you can see in the graphic below, the electromagnetic spectrum is a part of many aspects of our lives. The Sun is the star that powers our solar system and its energy is important for life on Earth. Because of the Sun’s temperature, the peak intensity of electromagnetic energy from the Sun is in the form of visible energy. Our eyes can see a narrow portion of those wavelengths. The Sun also emits a good portion of its energy at Infrared (IR) wavelengths. We cannot see this type of energy, but we can sure feel it as heat on our skin. The Sun even emits energy at sound wavelengths; special solar radio telescopes can actually detect that energy. There is another type of energy emitted by the Sun that can be harmful in large doses. It is called Ultraviolet (UV) radiation. At excessive amounts, UV radiation can be harmful to our skin or eyes. Thankfully, the stratosphere (the layer just above the troposphere in which we live) has a layer of ozone. Ozone is a gas that has three atoms of oxygen in its molecule rather than two atoms like the oxygen we breathe. When scientists discovered the ozone “hole” being caused by products containing various types of chemicals (such as CFCs), there was immediate concern because it is a natural filter of the Sun’s harmful UV radiation. Over time, the Montreal Protocol was advanced and many of the ozone-depleting chemicals were banned from spray cans, refrigerants and so forth. Thermal polish changes color because it contains a leuco dye. The word “leuco” is a Greek word that means “white.” This is because a leuco dye has two forms: one is clear or colorless (white or leuco), while the other is colored. The reversible transition between the two colors may be caused by heat (thermochromism), light (photochromism) or pH (halochromism). It’s also possible to irreversibly change colors, usually from a redox reaction. When exposed to ultraviolet light from the sun (or other long-wave UV source), UV nail polish changes color! The change is reversible. 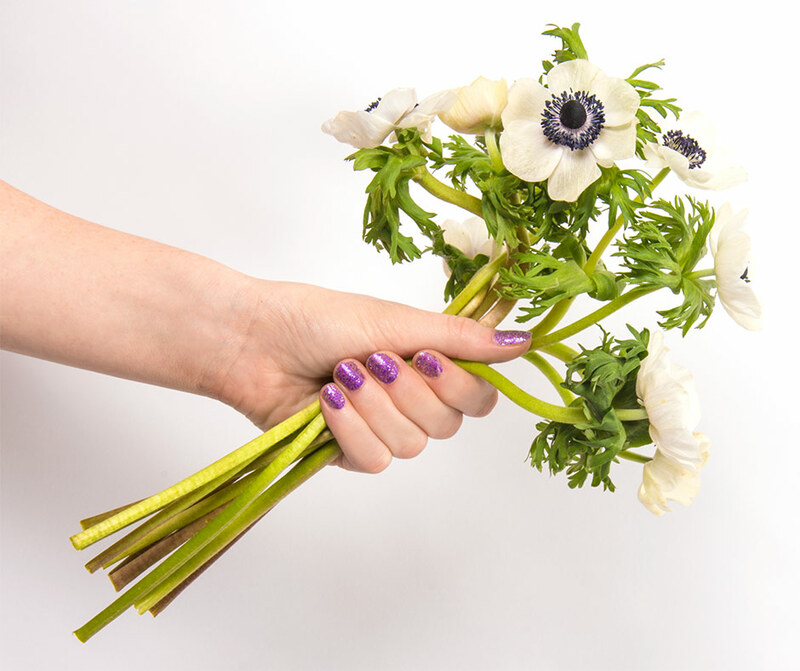 When the UV Nail Polish is removed from sunlight, it returns to its original color! Although the product is great for nails, it can just as easily be painted on an index card or acetate to make an ultraviolet light detector that can be used for testing the effectiveness of sunscreen lotion or any other UV filter. When my wife gets home, I hope she accepts becoming data for the atmospheric scientist in the house. The hubby will catch up later.